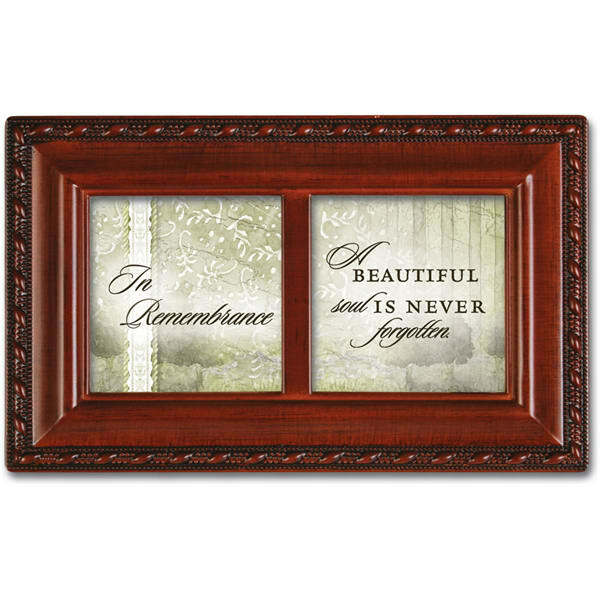 The sentiment can be easily replaced with two small photos. 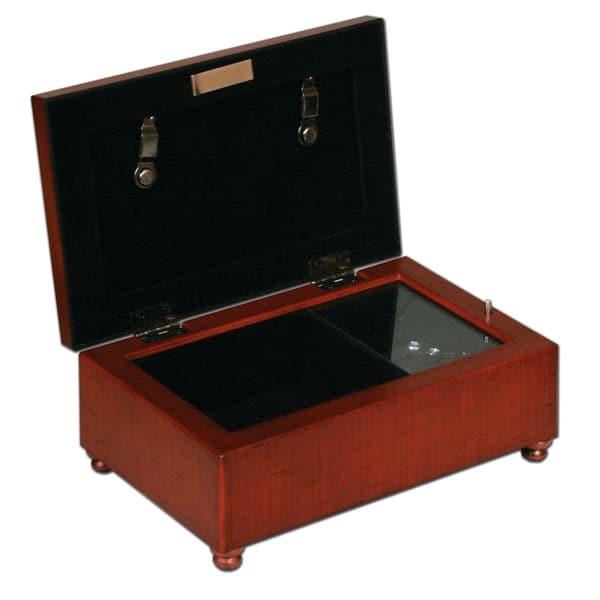 • Inside you will find the viewable musical movement and velvet lined compartment for your keepsakes. 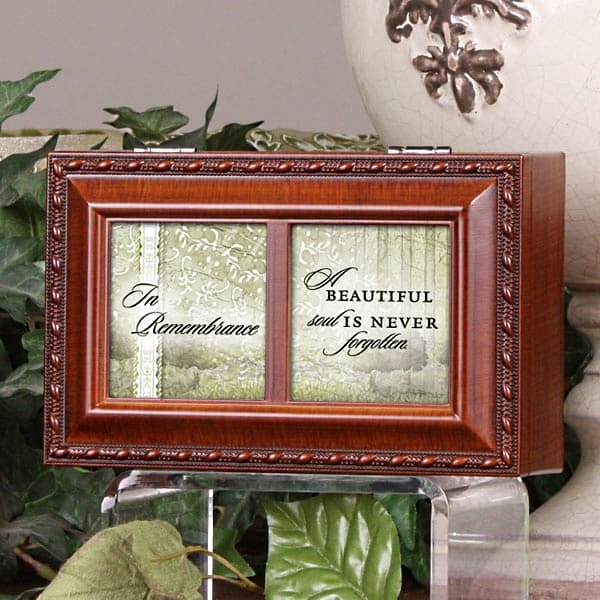 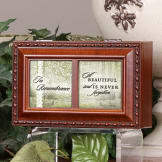 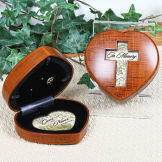 • Inspired by loved ones passed, this petite music box features beautiful sentiment art on the lid that will let someone know they are in your thoughts and prayers. 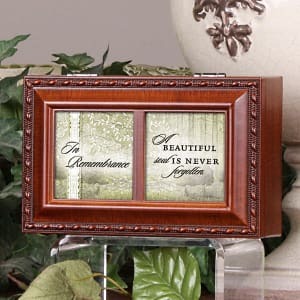 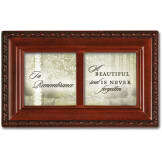 Approximate measurements 6"x 3.88"x 2.25"
— Music box plays: "How great thou art"